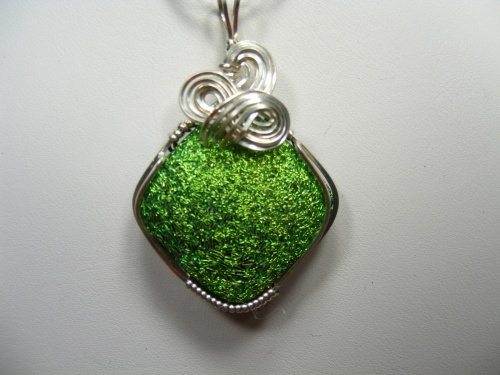 This gorgeous sparkly green handmade dichroic piece is sculpted with sterling silver curls. This piece is crinkly on the top and has a shine on it that will catch any eye. If green is your color this is the piece for you. Piece measures 1 1/2" by 1 3/4" total and comes with a sterling silver snake chain.